Bon Voyage! Today You are Off On Your Exciting European Tour with Best Holidays as You Board Your Flight to Paris. On Arrival, You Will Be Greeted By Your Friendly Best Holidays Tour Manager Outside the Baggage Hall. We Shall Then Proceed to An Indian Restaurant to Enjoy a Delicious Indian Dinner. Later Drive to Your Hotel Which is Conveniently Located and Check-in. overnight in Paris or Similar. After a Continental Buffet Breakfast At the Hotel, We Take You On An Exhilarating City Tour with An English – Speaking Local Guide, Who Will Show You Many of the Best - Loved Parisian Sights – Alexander Bridge, Arc De Triomphe, Concorde Square, Opera House, Invalides, Champs Elysees and Much More. Next, We Proceed to Visit the Eiffel Tower (2nd Level). the Afternoon is Free for You to Explore this Beautiful City On Your Own or You have a Chance to Join Us for Some Fun, Adventure and Entertainment On Our Tour to Disney Park and Enjoy the Many Rides (all Included) or You Can Visit the Disney Studios and Be Amazed By the Stunning Stunt Shows, Watch a Film Being Made and See Real-life Sets Where Famous Movies Were Created. Packed Lunch Will Be Provided for Passengers Taking Eurodisney. Tonight, Relish Hot Indian Meal for Dinner.later, You have a Chance to Experience the Glamour of the Famous Lido Show – An Unforgettable Experience On Your Tour. note: for Passengers Not Opting for Optional Excursion the Dinner Will Be Packed and Will Be Delivered to the Hotel When the Group Arrives. Day 3: Proceed to Brussels. Visit Mini Europe. Orientation tour of Brussels. After a Continental Buffet Breakfast At the Hotel, Check Out. Sit Back and Relax in Your Coach as We Precede to Brussels the Capital of European Union. Upon Arrival, Visit Mini Europe the Incomparable Chimes of Big Ben Welcome You to the Heart of London. the Gondolas and Mandolins Will Invite You to Discover the Charms of Venice. Follow the Thalys from Paris to the other End of France and Many More. in Total 350 Models and Animations Sites in a Quite Unequalled Craftmanship. Post that Enjoys Orientation Tour of this City. See the Grand Place and the Legendary Mannekin Pis Statue. tonight Enjoy Hot Indian Meal for Dinner. Proceed to the Hotel and Check In. After a Continental Buffet Breakfast, Check Out and Proceed to Cologne. Visit the Impressive Cologne Cathedral, a fine Example of Amazing Gothic Architecture. Later We Proceed to Board Your Scenic Cruise On the River Rhine. Cruising Down the Rhine, You Will Pass Steep Slopes Covered with Vineyards. the River Rhine is One of Europe’s Major Navigable Rivers. this Evening, Enjoy a Indian Dinner At a Restaurant, Before You Drive to Your Hotel. After a Continental Breakfast, Proceed to Heart of Black Forest, Surrounded By Dark Fir Forests, Fairy Tale Woods and Flowering Meadows. Here, is the Home of the World-famous Cuckoo Clock. Get Invited for a Free Demonstration and Buy One for Your Home – a Prized Possession. 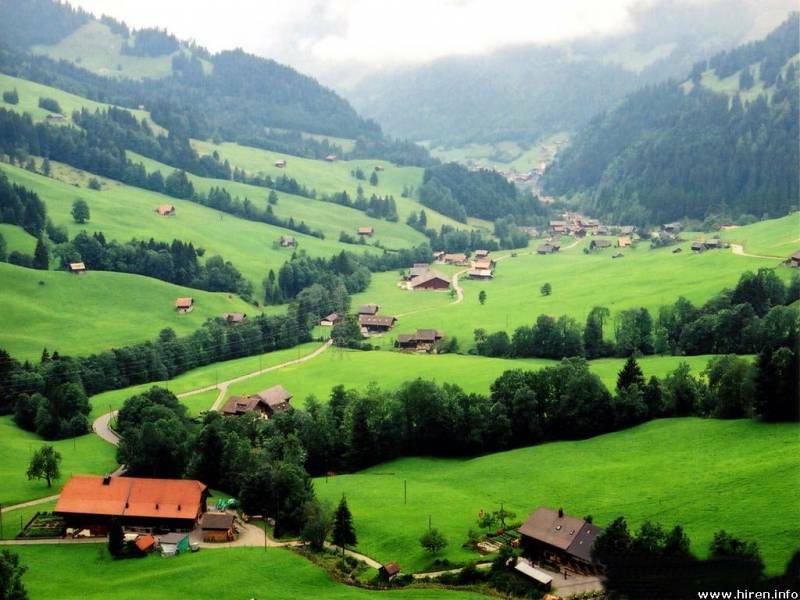 Then We Travel to Switzerland. Arrive At Schaffhausen. Enjoy the Beautiful View of Rhine Fall At Schaffhausen. Later Proceed to the Restaurant Where a Delicious Indian Dinner Awaits You. Proceed to the Hotel and Check-in. After a Continental Buffet Breakfast At Your Hotel, Join Us On One of the Most Memorable Experiences of Your Europe Tour – Visiting Mt. Titlis and Lucerne. Adventure Awaits You in a Sensational Cable-car Ride Up to Mt. Titlis. Marvel At the World?s First Revolving Cable-car Ride, a Truly Once-in-a Lifetime Experience. At 3,020 Metres a Breathtaking Panorama Unfolds. Next We Proceed to Scenic Lucerne Where You Will Visit the Lion Monument and See the Kapell Brucke (wooden Bridge). Later, You have Some Free Time to Shop for Famous Swiss Watches, Knives and Chocolates. Tonight, After a Delicious Indian Dinner Return Back to Your Hotel. Day 7: Fly back home. After a buffet / boxed breakfast, we check out and proceed to the airport for your flight back home. Arrive home with pleasant memories of your European tour, which we are sure you will treasure for a lifetime. Do spare a few minutes to fill in the feedback form and hand it to your Tour Manager. Your valued suggestions will be most appreciated. 02 nights in Paris or similar. 06 Indian Jain / vegetarian / non-vegetarian dinners. Visit to the 2nd level of the Eiffel Tower. Cancellation Charges Per Person when a Cancellation is made	Europe	35 days prior to the departure of the Tour	INR 50,000/-	34 - 21 days prior to the departure of the Tour	INR 80,000/-	20 - 11 days prior to the departure of the Tour	INR 1,00,000/-	10 days or less prior to departure of the tour or a “No Show” on the tour	100% of the Tour Cost	The company reserves the right to cancel any Tour prior to the departure, without assigning any reason. In such an event, all monies paid by you will be fully refunded forthwith in Indian Rupees currency only, but no compensation will be payable. In case of cruises, 100% of the cruise cost paid will be forfeited in case of any cancellations, irrespective of time of cancellation. Taxes as applicable extra. The company cannot assume responsibility for any additional cost or any fees relating to the issuance and / or cancellation of air tickets or other arrangements not done through the company. The company reserves the right to forfeit the booking deposit in case of any cancellations. However, passengers whose visas are not granted by the consulates must intimate us at-least 45 days in advance of the date of commencement/departure of the tour, at which time the company will deduct INR 7,000/- per person towards Guidance Charges over & above any other actual expenses, if any, incurred and refund the balance amount. Taxes as applicable extra. However if such intimation is received after the said period of 45 days prior to the date of commencement/departure of the tour, the cancellation charges will be applicable as per the cancellation rules mentioned above.